Dermal fillers, also simply called fillers, can help restore youthfulness in specific areas of your face by increasing plumpness and firmness and reversing volume loss.  our Licensed Aesthetician at Suite 200 Med Spa is pleased to offer Juvederm Voluma® XC and Juvederm Ultra XC to patients in the Bryn Mawr, Pennsylvania area. What are Juvederm Voluma XC and Juvederm Ultra XC? Juvederm XC is a gel designed for cheek augmentation. Once injected into your skin it reverses age-related volume loss in the mid-face by instantly smoothing deep lines along the sides of your mouth and nose. Juvederm Ultra XC is injected into the lips and premolar area — the lip area near your molars — for lip augmentation, adding plumpness and fullness to thin lips. Both dermal filler treatments are approved for use in people over age 21. In addition to an instantly more youthful appearance, dermal fillers are considerably cheaper and less invasive than surgeries geared toward similar results such as facelifts. Treatment sessions take mere minutes, and they allow Dr. Lanchoney to target specific areas with only minimal discomfort and virtually no down time. Derma fillers are considered safe and serious side effects are unlikely. In rare cases, people experience an allergic reaction, skin discoloration, or the dying of skin cells if the treatment isn’t done properly. The number of dermal filler treatments you’ll need varies depending on factors such as the condition of your skin and your desired results. Many patients receive maximum benefits through a series of treatments over time. Regardless, you’ll likely want additional treatments for maintained results. You may experience mild pain or discomfort when the dermal filler needles are inserted into your skin. Some patients compare it to a pinch or bee sting. Juvederm contains a common anesthetic called lidocaine to minimize discomfort. If needed, our Licensed Aesthetician can apply an additional topical anesthetic, or you can apply ice before your treatment for added ease.